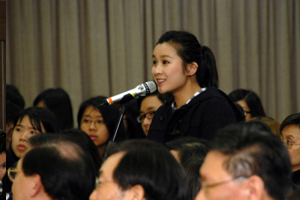 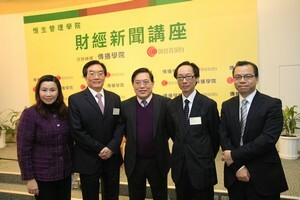 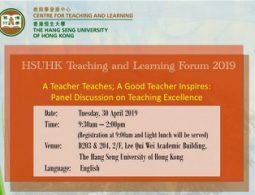 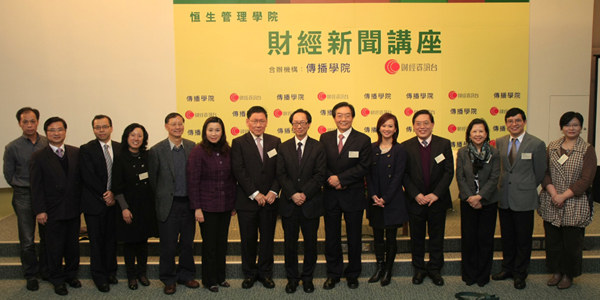 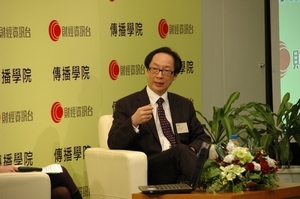 To strengthen students’ understanding of Hong Kong and global economic development, i-Cable Finance Info Channel and the School of Communication have jointly organized a series of 4 Financial News Seminars. 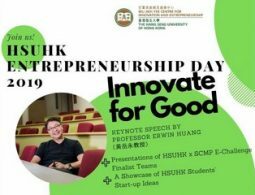 We were honored to invite Mr. Andrew Fung Hau Chung, Executive Director and Head of Treasury and Investment of Hang Seng Bank, as the first guest speaker. 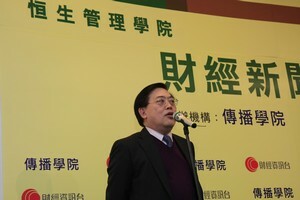 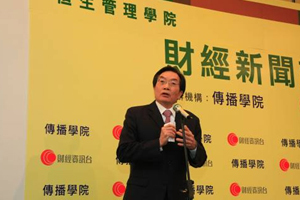 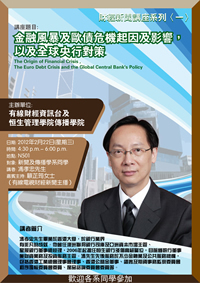 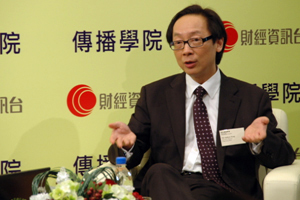 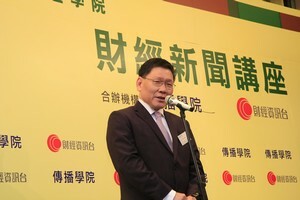 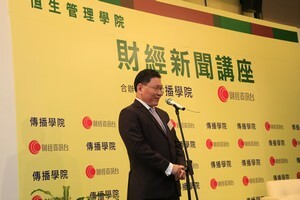 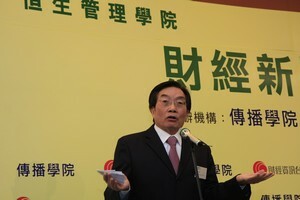 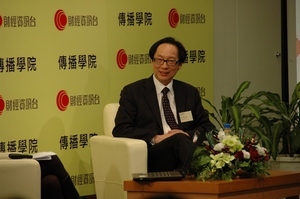 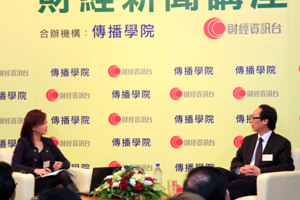 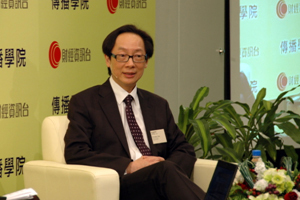 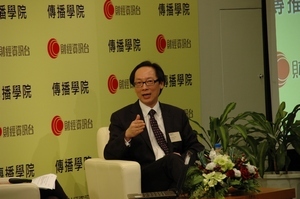 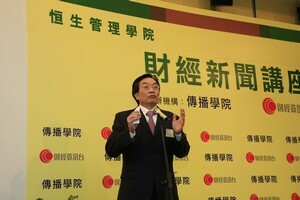 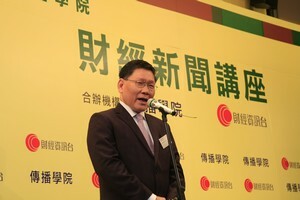 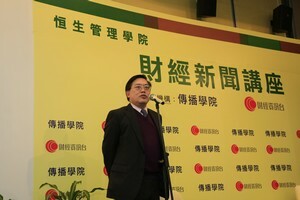 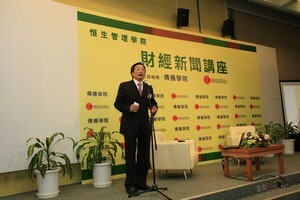 At the seminar, Mr. Fung analyzed the origin of the recent financial crisis, the Euro debt crisis and illustrated the global central bank’s counter-policy. 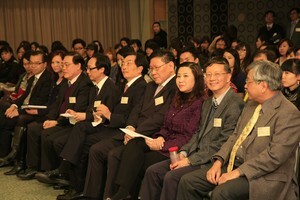 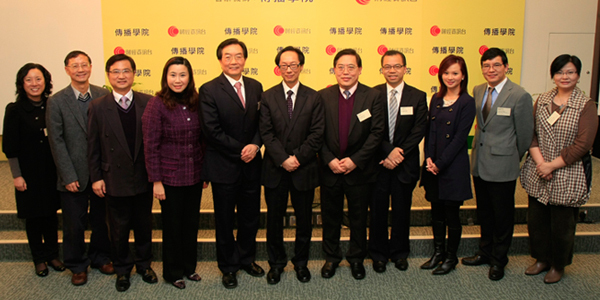 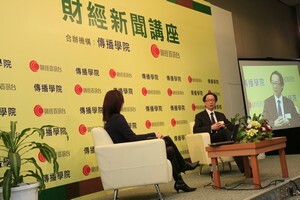 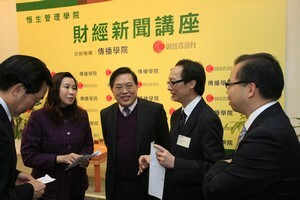 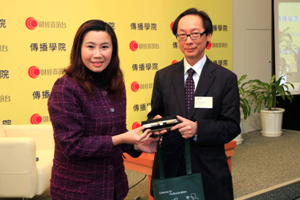 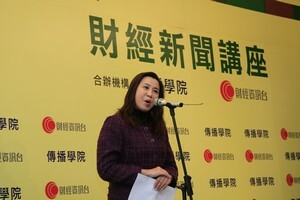 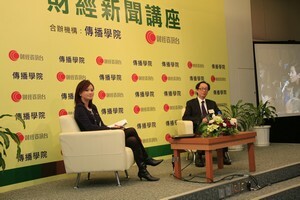 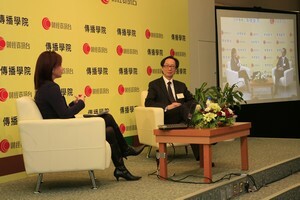 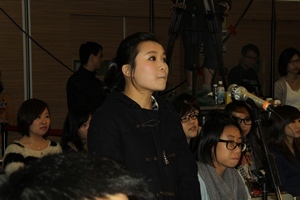 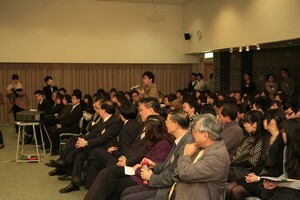 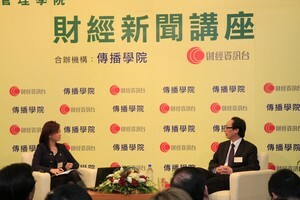 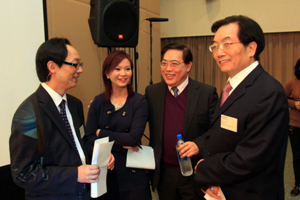 Ms. Debby Koo, Chief Reporter of Finance Info Channel, was invited to be the guest host. 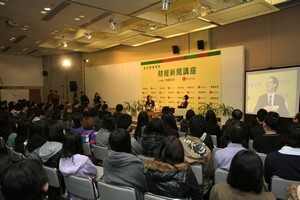 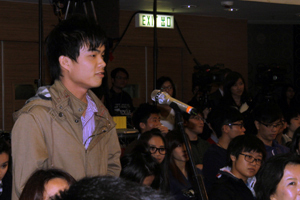 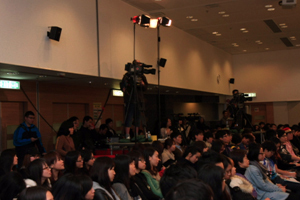 Through observing the interview, students could learn interview techniques and how to become professional reporters.